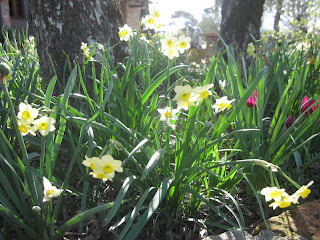 Giardino in Umbria: Bulbs . why don't we see more of them in Italian gardens? Bulbs . why don't we see more of them in Italian gardens? Today the wind is blowing a gale - more than 40 km/hr - and the dessicating effects are devastating, undoing all the good of the winter rains. So a chance to reflect on what is undoubtedly the most cheerful aspect of the garden: spring bulbs. 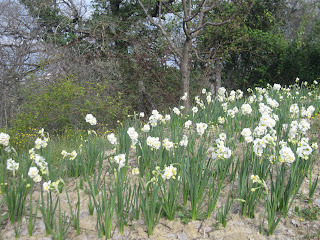 In fact 'Cheerfulness' is one of my favourite daffodils, both for the complex flower form and scent. 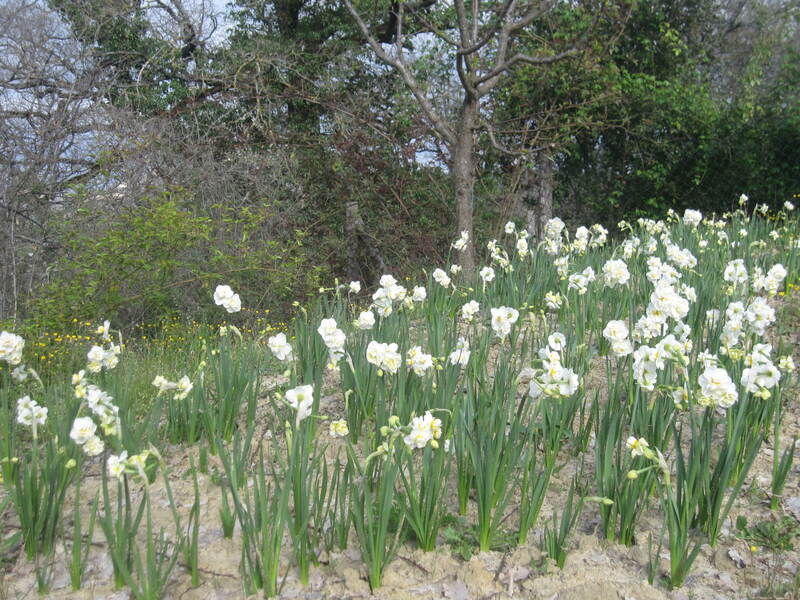 But here in central Italy we see very few bulbs, at least as compared with England, and rarely in major planting schemes and drifts. 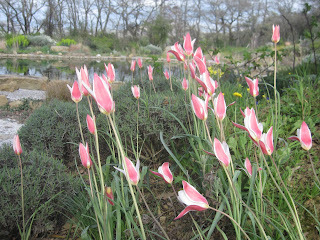 I prefer more natural plantings and oten use species bulbs such a Tulipa Clusium. 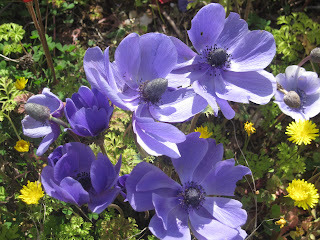 Not only are they more subtle coloured and delicate but more likely to come back in subsequent years. Strange really, because a lot of familiar bulbs originate from the Mediterranean and in spring you can see fields of wild daffodils (Jonquils etc) in Sicily. 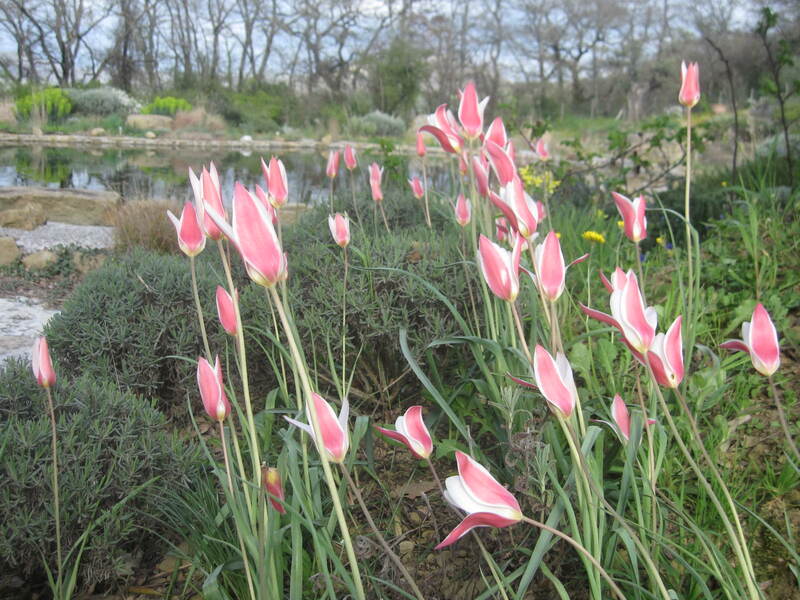 Also many bulbs come from climates where the summer is hot and dry but winter very cold; Tulipa Turkestania is another of my favourites. 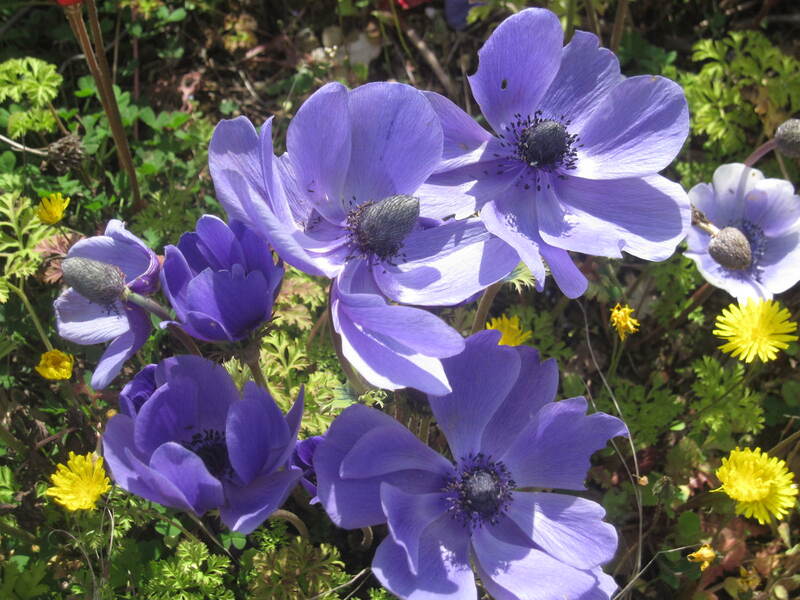 Not forgetting corms either: Anenome Coronaria is also a native flower in central Italy and deserves to be more widely appreciated. Lovely! Spring is not so full here yet. I hope the gale winds do not do too much damage.